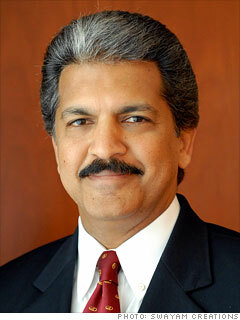 Anand Mahindra has metamorphosed his family business from a maker of jeeps to the world's largest tractor manufacturer and India's biggest seller of SUVs. Mahindra is diversifying in more ways than one. Thanks to new businesses such as real estate, IT, and finance, the group has ballooned into a behemoth with $11 billion a year in revenue. He's also expanding geographically: Recent high-profile acquisitions include Aerostaff Australia and Gippsland Aeronautics in Australia, Jeco and Schnoweiss in Germany, and a $463 million stake in South Korean automaker Ssangyong Motors. A game changer for the group was Mahindra's buyout of scandal-hit IT giant Satyam in 2009, which is relisting on the NYSE as Mahindra Satyam this year. Where in the world is cheap labor?